Well, mobile marketing is for real. Just look at all the Fortune 500 companies that are devoting hundreds of millions of dollars to it. But the good news is that you don’t have to be a Fortune 500 company to take advantage of everything mobile marketing has to offer. Better still, using mobile marketing for business is insanely easy to do. Seriously, it’s not all that complex once you get the hang of it. So, with that in mind, I wanted to share 50 insanely simple things you can do to use mobile marketing for your business. This handy (and print-worthy) list should get you started in mobile with relative ease. Learn the Facts. Jeanne Hopkins and I created a SlideShare deck for HubSpot called “50 Amazing Facts About Mobile Marketing” that’s been viewed more than 150,000 times. If you haven’t already seen this deck, it has tons of amazing and incredible facts about the impact mobile is having on our society. Mobilize Your Website. If you have an ad agency or web design firm, they’re probably already working on your mobile website. (And if not, hop to it.) But if you’re a start-up, small business or blogger, then read “How to Build a Mobile Website” for easy tips on setting up your mobile site. Test Your Mobile Site. Google has a special tool that shows you how your site renders on various operating systems. It also provides tips on how to improve the functionality of your site. Add Something Fun to Your Mobile Website. It’s a good idea to reward people who visit your mobile website with something fun and engaging. Perhaps a mobile coupon is in order? Or maybe a mobile trivia game will do the trick. No matter what, try to have a little fun with your mobile website. Learn How to Generate a QR Code. QR codes won’t be around forever, but they can still be used to engage customers. Ready to create one? Just copy any URL and paste it into the QR code generator we have on the bottom right-hand side of the 60 Second Marketer blog. It’s crazy easy to do and you’ll figure out a lot just by playing around with it. Drop a QR Code into Your Next PowerPoint Presentation. When I conduct mobile marketing webinars for T-mobile, Coca-Cola and other companies, I drop a QR Code into the presentation. The first person to scan the code gets an autographed copy of Go Mobile. It’s a great way to engage an audience via mobile marketing. Add a QR Code to Your Business Card. You can create QR codes that provide your contact information to the people who scan them. That’s a great way to connect with people and provide them a link to your blog. Record a YouTube Greeting and Link it to a QR Code. Want to provide visitors to your website some extra love and attention? Create a video greeting on YouTube and link it to a QR code on your website. When people scan the QR code, they get a video greeting from you — ideally with a special discount or coupon offering. How cool is that? Use TwtPoll to Create a Mobile Survey. When I do a keynote at an event or conference, I’ll use TwtPoll to create a survey which can be accessed via smartphone. The audience can take the survey from their smartphones and I show the results in real time on the screen. Incorporate Mobile into Your B2B Marketing Campaign. Mobile isn’t just for B2C. In fact, in some ways, a B2B mobile campaign has greater impact because it’s unexpected. So put a QR code at your receptionists desk that offers a special thank you gift for people who scan the code. Or, create an employee scavenger hunt that uses QR codes as part of the clues. Or use any of the techniques below to engage your B2B clients. They’ll be impressed you’re using a cutting edge technology for a B2B marketing campaign. Create a Mobile Google+ Page. If you don’t already have a Google+ profile, it’d be a good idea to create one. Google is getting deep into mobile, so where Google goes, you should go, too. Best of all, Google makes sure your profile renders properly when people access it from their smartphones. Create a Mobile Banner Ad Campaign. Mobile banner ads are surprisingly easy to create. If you’ve got a budget, the simplest thing to do is to call your ad agency and develop a campaign through them. 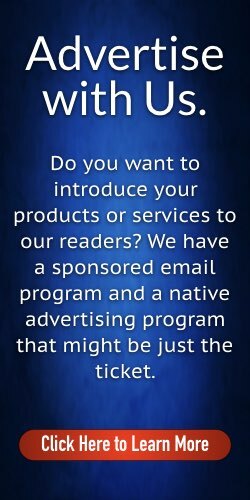 Alternatively, you can go straight to a mobile ad network which will place your ads on hundreds or thousands of mobile websites across the nation. Some of the mobile ad networks I’m most familiar with are 4INFO, Jumptap, AdMob and Millennial Media. Link Mobile Banner Ads to Email Campaigns. You can run a mobile banner ad that, when clicked, creates an email instead of loading a web page. So, for example, when a person clicks on a banner ad from their smartphone, an email pops up on their screen that they can forward to friends. The email might say, “Meet me at Bob’s Italian Restaurant and we’ll all get 10% off our bar tab.” For more information on this technique, check out some of the case studies on the MobClix website. Send a Mobile Banner Ad to People within a 5-Mile Radius of Your Store. Mobile banner ads are a lot of fun because you can use geo-locational technology to target people within a certain radius of your retail locations. It’s perfect for restaurants, coffee shops, bookstores and other retail locations that want to attract local customers who are near their store. Run a Mobile Banner Ad that Adds an Event to the Visitor’s Calendar. This is another fun trick that the folks at MobClix came up with and it works like this — someone visiting a mobile website sees a mobile banner ad on their smart phone. The banner ad is for your company and it says, “Mark Your Calendar for Our Grand Opening Event!” When the user clicks on your banner ad, the event is automatically added to their calendar. Pretty cool, eh? Build a Mobile App. There are a variety of well-established companies that can help you build an app. The best ones I came across when we wrote Go Mobile were ShoutEm, MobileRoadie, AppMakr, Appcelerator, MobBase and Mippin. Provide Customers with an Interactive Map of Your Facility via Mobile App. That’s what Mobile Roadie did with their app for the San Diego Zoo. The most popular section of the San Diego Zoo app was Animal Cam where fans could watch and learn about their favorite zoo animals in real-time. Build an App for a Client. If you’re a marketing communications firm, web developer or ad agency, you might find ShoutEm’s platform to be just the ticket. They have a system that allows you to create apps for clients and white label them from your agency. Communicate and Manage Employees via Mobile App. E-bay employees can access the company directory, campus map, calendar, stock feed and more all from a sophisticated app that was built using the Appcelerator platform. Spread the News via Mobile App. Mippin, a UK-based app development company, helped The Daily Star stay connected with readers by creating a simple, easy-to-use app that shares Daily Star content via mobile device. Create an App that Prevents Customer Churn. One of my favorite uses of an app is the one Domino’s created for their mobile audience. It’s surprisingly easy to use and, best of all (for Domino’s), once you’ve gone through the set-up process, the odds of going to a competitor’s app drop dramatically. It’s a great way to reduce customer churn. Create a Customized App for Your Event or Trade Show. AppMakr helped The Inc. 500 Conference create an app that enabled attendees to navigate the conference with ease. It was a great way for the event to stay connected with their audience. Send Customers Special Discounts When They Enter Your Store. Digbyhas a geo-fencing solution that targets customers once they’ve entered your store. Once a shopper has downloaded your app, you can send the shopper rich, relevant messages when they’re nearby. Geofences can be set up by the retailer to offer consumers a discount or alert them to something happening right then in the store. Launch an SMS Campaign. As our friends at SumoText will tell you, only 6% to 15% of all mobile phone users in the U.S. have QR code readers on their phones, but virtually 100% of them can read texts. Launching an SMS campaign is crazy easy — but you’ll have to go through an SMS service provider like SumoText to get it going. Use SMS to Stay in Touch with Customers. Airlines, doctor’s offices and restaurants are using SMS to remind customers about their flights, appointments and reservations. It’s a great way to stay connected and keep people happy. For more on using SMS to connect with customers, check out MobileStorm, one of the nation’s largest SMS and digital marketing service providers. Target Home Buyers Who Want More Information. If you’re in real estate, then you can use SMS to provide in-depth information about specific homes. Prospective buyers simply text a short code to your number and can receive detailed information about the home. For more information on this technique, visit the Anchor Mobile website. Connect Your SMS Campaign to Your TV Campaign. Commercials for one retailer in Minneapolis encouraged people to text “tent” to get a discount coupon for a weekend tent sale. That way, potential customers had a mobile coupon on their smartphones that they could keep handy until they visited the store. Use SMS to Send Emergency Alerts. Colleges and large corporations are now using SMS to alert people to possible emergencies. Grab a Star Star Code. Remember all those people who got in early on the 1-800 craze? They grabbed numbers like 1-800-INSURANCE and sold them back to insurance companies at a premium. The same might be happening with Star Star codes which allow people to dial **INSURANCE (or something else) to connect with brands. For more on Star Star codes, click here. Accept Credit Cards with Your iPhone, Android or iPad. If you’re a small business or a non-profit, you may have been intimidated by the complexity of accepting payments via credit card. Good news — Square offers a crazy simple solution for iOS and Android that simply connects to your smartphone or tablet. Check it out. And start making some money! Integrate Your Social Media Campaigns with Mobile. Facebook, LinkedIn, Twitter, Google+ and other social media platforms are all over mobile. Keep that in mind when posting updates — since people reading your social media updates might be mobile, you can encourage them to stop by your retail location with time-sensitive promotions sent out via social media. Keep Prospects In-Store with Barcode Scan Promotions. Tired of having prospective customers enter your store, look at the merchandize, then go home to order it on Amazon? It’s called the Showroom Effect and one way to combat it is to provide customers who have downloaded your app a special discount when they scan a barcode on certain items. You don’t want to offer the discount on all items, just ones they can order online. For more on this technique, check out this page on the iLoopMobile website. Claim Your Business on foursquare, SCVNGR and WHERE. These are three of the best-known location-based services. Your first step is to register your business with them. They’ll need to confirm that you’re the legitimate owner or manager of the business before you can start using their services. Create a Check-In Promotion. Most people use tools like foursquare as a customer loyalty program. In other words, they only reward customers for coming back several times in a row. But I’d suggest rewarding first-time users — don’t offer a discount for someone who checks in 30 times. Instead, offer a discount for someone who checks in the first time. 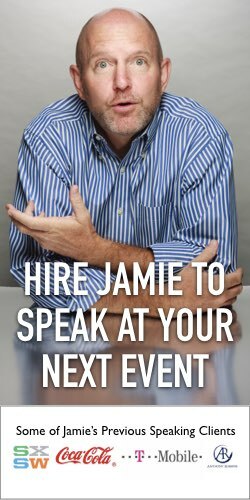 Create Deals Around Big Events. Is there a big event happening in your neck of the woods? Then create a check-in promotion around that event. It’s a great way to leverage the buzz around a concert, sports event or festival for your benefit. Leverage Deal-of-the-Day Services. Most people think of Groupon, Google Offers and Living Social as desktop platforms, but they’re perfectly suitable for mobile promotions. In fact, they’re probably better suited for mobile promotions, so don’t be shy — check ’em out. Promote Group Check-Ins. If you’re going to use foursquare to promote check-ins, why not encourage groups of people to check-in? That way, you’ll get more bang for your buck. Interact with Customers. If a customer has used a location-based service to check-in at your store, give them a discount — but only after they’ve interacted with your wait staff by creating an origami napkin or completed some other fun task. Create a Sense of Urgency with Your Mobile Promotions. Research indicates that putting a time limit on coupons drives up redemption. So, if you’re going to run a promotion on WHERE, then you’ll want to use phraseology like “limited time offer” or “expires soon” as part of the promotion. Create a Bounce-Back Coupon. It’s one thing to provide a mobile coupon to customers who are in your store, but it’s even better to provide one that encourages them to come back for another visit at a later time. These bounce-back coupons are a great way to generate repeat visits. Offer a Discount for Filling Out a Survey. Interested in getting customer feedback? Then provide customers 10% off their desert once they’ve filled out a mobile survey using a tool like CheckBox. Use Near Field Communications (NFC) to Provide Tourist Information. NFC hasn’t quite caught on everywhere yet, but fifty businesses in the Australian alpine resort of Falls Creek have been equipped to provide information to visitors via NFC. The system enables visitors with NFC phones to connect with Falls Creek’s businesses by tapping their handset against NFC stickers located at business premises. Tapping a tag opens up a mobile site which provides access to a range of local services. If You’re a Retailer, Learn More About the Mobile Wallet. Google, Wal-Mart, 7-11 and other companies are starting to develop NFC solutions that will allow people to pay for items by waving their phone over NFC-enabled merchant devices. The final technology is still a long way from going mainstream, but anything that Google is involved in is worth checking out. The bottom line is that mobile marketing can be insanely simple to use, so don’t be intimidated. Dive right in. And let us know about your experiences using this amazingly important new technology. 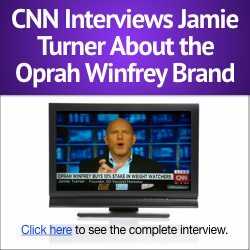 About the author: Jamie Turner is the Founder of the 60 Second Marketer and co-author of “How to Make Money with Social Media” and “Go Mobile.” He is also a popular marketing speaker at events, trade shows and corporations around the globe.